The first "Police Fatality Public Fact-Finding Review," regarding the murder of Stanley Gibson by Metro Officer Jesus Arevalo, is scheduled to take place on Thursday February 28th beginning at 9:00 am and will be located at the Clark County Government Center, where the Clark County Board of Commissioners hold their regular meetings. We'll be meeting up at 8:00am in order to organize together and go over the specifics of what we will be doing to bring attention to Stanley's murder. It's incredibly important for anyone that cares about justice and supports accountability for police that commit crimes against people within the Las Vegas community to be there and make their voice heard for past victims of police violence and to prevent future innocent victims. In spite of the long-winded name change, the new process that was created by LVMPD's Sheriff Gillespie and Chris Collins of the Las Vegas Police Protective Association (Police Union) is designed to do anything but allow the public to find facts. The reality is that it is much worse than the original, much maligned, Coroner's Inquest system that it will be replacing. Unlike the Coroner's Inquest, the Police Fatality Review will involve no opportunity for testimony from witnesses and only voluntary testimony by the police involved in the shootings, which the LVPPA has already gone on record as saying that pretty much has no chance of happening. What it amounts to is a choreographed staging of the police department's version of events with zero representation from a genuine neutral party, the victim's family, or independent witnesses. Clark County District Attorney Steve Wolfson actually referred to it as a "performance," while endorsing it, during the Commissioner's meeting in which it was initially proposed. That's just how much of a blatant and callous cover up the Police Fatality Review is. The first case to go before this Police Fatality Review involves the murder of Stanley Gibson, an unarmed man who was shot seven times by Jesus Arevalo in spite of having committed no actual crime and having had his vehicle blocked in by several police cars so that it was unable to move. Stanley, a disabled veteran, who was lost and suffering a panic attack as a result of PTSD and other ailments he suffered during his time in the Persian Gulf, represented no direct or imminent probability of harming anyone at the time. There was no reason for any of the dozens of heavily armed police to feel in any way threatened by him. And the fact that of all those cops there, only Jesus Arevalo felt the need to fire the shots that killed Stanley Gibson only supports that conclusion. Instead of holding someone that at best was grossly negligent that night accountable for his actions, D.A. Wolfson, Sheriff Gillespie, LVPPA's Chris Collins, the Clark County Board of Commissioners, and every other member of the LV Metro Police Department are closing ranks around him in a misguided attempt to cover up yet another officer involved shooting under what could only mildly be called questionable circumstances. 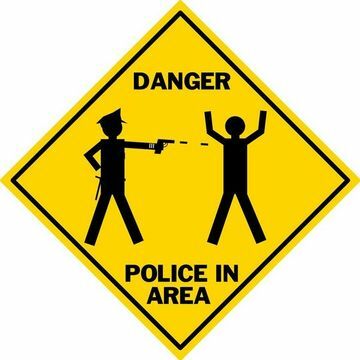 Anyone living in Las Vegas should be well aware that there is a longstanding problem with brutality and outright murder by members of Las Vegas area police departments, especially those of the LVMPD. In several cases, especially those involving Stanley Gibson, Erik Scott, Trevon Cole, Henry Rowe, and Rafael Olivas, the circumstances behind the shooting have been incredibly questionable, if not completely inexcusable. The obvious reason for the mounting body count by local police is the fact that no Las Vegas area police officer has EVER been held accountable for shooting someone, no matter how questionable that shooting has been. Replacing what was already a terribly flawed system with one that not only retains those flaws, but incorporates even less transparency and can only be seen as a conscious effort to ensure the police never have to fear being held accountable for deaths they cause not only doesn't address this problem, but in reality actually makes it harder for the police to do the things they are supposed to do by creating a lack of trust and discouraging any support for police from the people living within the community that they work. It's a self-perpetuating downward spiral that only exacerbates an already toxic and often violent relationship. The time to put an end to this has already passed and things can only get worse at this point if the transparency and accountability that Sheriff Gillespie promises so often isn't actually upheld truthfully and with honest intentions. As of right now, I have been unable to find any info regarding the specifics of the expected length of the kangaroo court that will begin Thursday or restrictions on public entry into the chambers where it will be held. Although, I suspect this lack of information is intentional, if I do come across that information I will post it here.